The weather’s gotten a bit dreary and what better way to bring a little sunshine into our lives than with a little contest? The wonderful Vicky of Chicki.co.uk and ScrummyLand on Etsy has kindly agreed to sponsor a giveaway. The ScrummyLand Etsy shop has a lot of Blythe-sized goodies (like cute hats and shirts) as well as accessories for the dolls’ human counterparts. What I do like about ScrummyLand is that you can go and buy something for your dolls as well as something for yourself and gifts for some friends while you’re there! 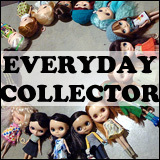 I had interviewed Vicky a while back, I hope some of you remember, and we had talked about Chicki.co.uk – which has a lot of dolls, clothing sets and Re-Ment available and she recently restocked! You can find coupons and updates for Chicki.co.uk via Twitter and Facebook. If you don’t want to leave your luck of getting some ScrummyLand goods up to chance, you can get free worldwide shipping when you use the code FREESHIP at ScrummyLand until the end of November. You can get up to two (2) entries for this giveaway draw and you can enter until Wednesday November 23rd 2011 at 11:59pm PST. The draw will be held on Thursday November 24th 2011 and the winner will be announced on BlytheLife.com. Remember to use a valid email address for all comments. If you win, your email will be forwarded to Vicky for arranging shipment of the prize. Mandatory Entry: Vicky wants to know the answer to this question (so comment below! 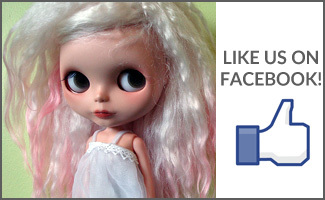 ): We love retro and character t-shirts, so what would you love to have on your doll’s t-shirt? Bonus Entry #1: Rate your top three favourite t-shirt designs from the ScrummyLand Etsy shop and comment below (please make this a separate comment from your mandatory entry). I love vintage cartoons from the 80’s and would love to see those on a t-shirt. some retro band shirts would be amazing! i’d love to see bands like the cramps or the smiths or similar.. for characters from movie/tv shows i’d love to see like classic horror film monsters, beetlejuice, the addams family etc. hope this helps! #2 – All the adventure land shirts! 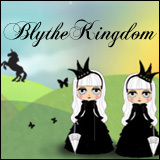 I think Blythe is kind of a girly child, so maybe Sanrio – some of the lesser known characters like Rilakkuma, or Jimmy & Patty, Emily Strange, Alice in Wonderland, and any NHL teams (NJ Rebels). My Blythes’ love hockey. My favorite designs are Astro Boy, Doraemon, and SW Rebel Alliance. I would love to have my own illustrations printed on a doll’s t-shirt. Other designs that I love that would make very interesting doll clothes are from some Zazzle artists such as Myka Jelina, Jasmine Beckett, and Sandra Vargas. Their artwork is awesome. And anything Joss Whedon, or Firefly related is also gold, in my book. I agree with Sioux, classic horror films are great, too. Oooh…classic movie posters! Roby the Robot, and the creature from the black lagoon are good examples. I’d like to see sports team tees! I those would be very popular – not sure if it’s even legal though. I also like cutesy tees like the ones from Urban Planet. Some of us are not as old as Blythe, so a lot of nineties appeal exists in addition to the 80s… I’m thinking Captain Planet! I loved that show as a kid. Favorites…the cute lil ice cream, kirby, and the one up-mushroom. A Death to the Pixies tee would be awesome! I’d love to see Rainbow Brite on her t-shirt!